I didn't think it were possible for Kia to make me want a K900 any less, but they have gone and done it. 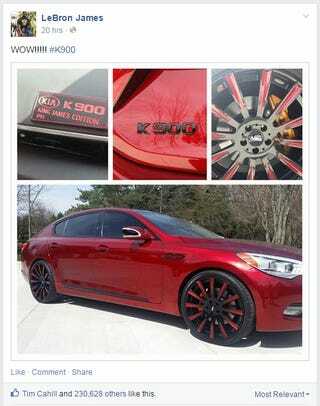 I present to you the King James Edition K900. I suppose if Kia made a tacky trim package with body matching paitned wheels called the King Nisman Edition, I would think it was awe-inspiring, too.